Earn $12.97 in Rewards credit (1297 points) What's This? The SRAM 110 mm Red 22 Chainrings breathe new life into Red 22 cranksets. These 5 mm thick CNC-machined alloy X-GlideR™ chainrings provide optimized stiffness and shifting performance, with outer-ring specific ramps and pins to aid chain transition. 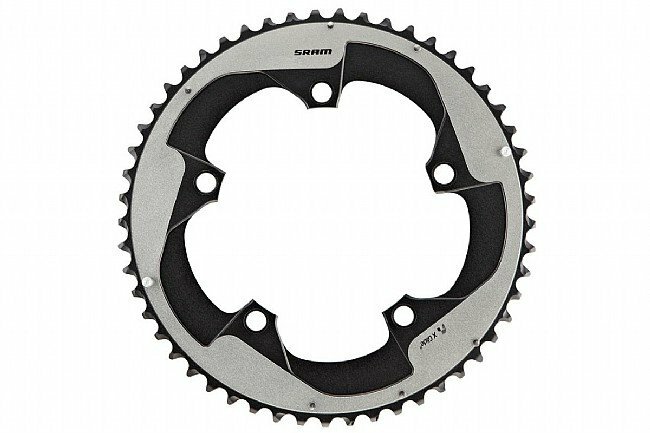 These 11-speed chainrings work best with SRAM chains and SRAM Yaw front derailleurs. Great product, great service. WBW is in a league of their own.